This is a gorgeous idea for decorating your entryway/foyer for Fall! The white wall really gives it a homey, farmhouse feel, doesn’t it? 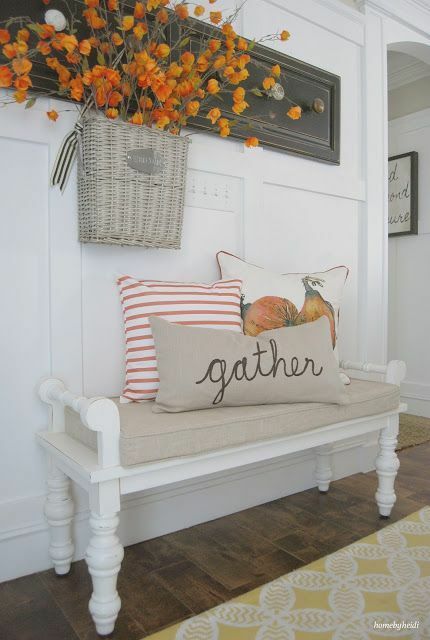 If you want more Fall decorating idea, check out this post – LOTS of cute (and easy) ideas.